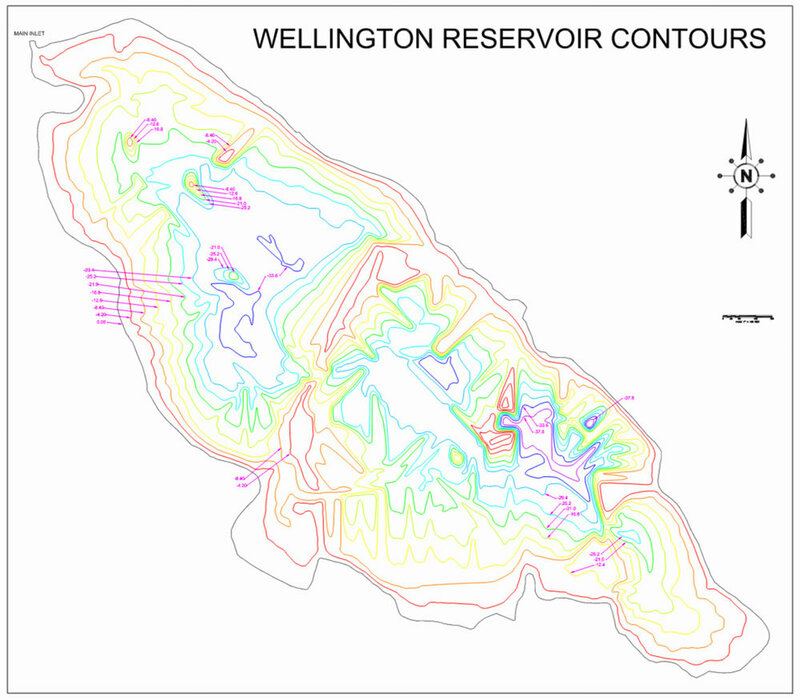 Wellington Lake is a 167 acre trophy fishery. 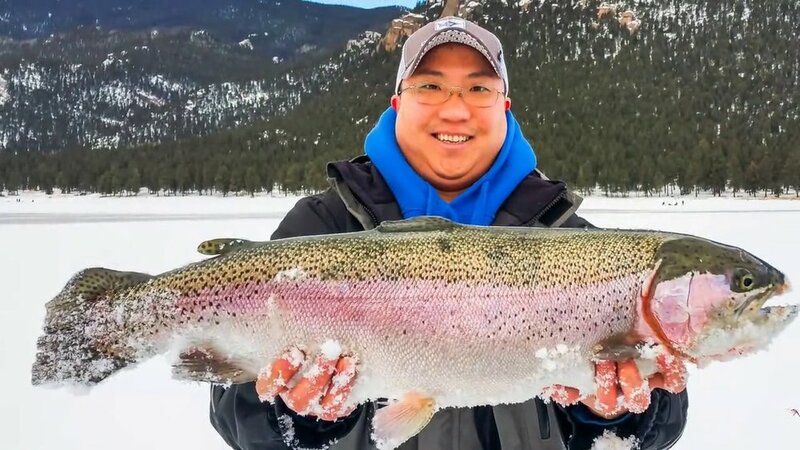 The lake is stocked twice a year and contains Rainbow, Cutbow, Brown, Brook and Palomino Trout. Anglers are welcome to fish year round, including joining us in the winter for ice fishing season. 4/22/19:The lake is 100% ice free and open for fishing and boating! Fishing has been excellent near the inlets on the northwest and southeast ends of the lake. Fish have been biting on olive woolly buggers, leech lures, and red chironomids. *If you arrive early in the morning, please bring cash to self-register by following the instructions on the outside of the office. All guests are required to complete a liability waiver. Please visit the Day Use page for pricing and additional rules regarding a day trip to the lake. Artificial flies and lures are allowed and should be made of materials such as wood, plastic, silicone, rubber, epoxy, glass, hair, metal, feathers or fiber. Because Wellington Lake is privately owned, no fishing license is required. This makes it a wonderful location for casual anglers or guests visiting from out of state. Fishing is included in camping and day use fees. There is no additional payment required for fishing. All fishing at Wellington Lake is catch and release only. Any person who kills a fish or fails to return a fish promptly to the lake, will be charged a restocking fee of no less than $50 per fish. Learn more about fishing etiquette and proper handling techniques. Please respect the lake and fish habitat by staying on trails, disposing of all trash in dumpsters (including all fishing line), and not adding any contaminants to the lake. Our policy of not allowing bait encourages guests to be actively casting and reeling rather than then letting their lines sit still in the water and risk gut hooking the fish. 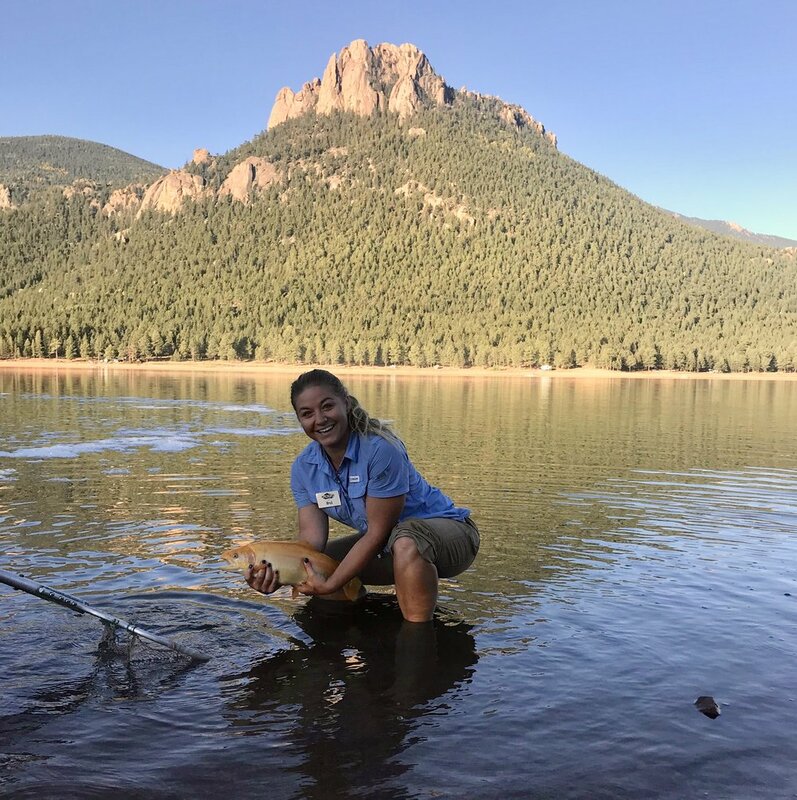 To learn more about fishing etiquette and proper handling techniques, click the Ethical Angler link, or ask one of our friendly rangers.